My almost 4 year old can identify numbers 1-10 with no problem. However, when it comes to any number past 10 she gets a bit confused. 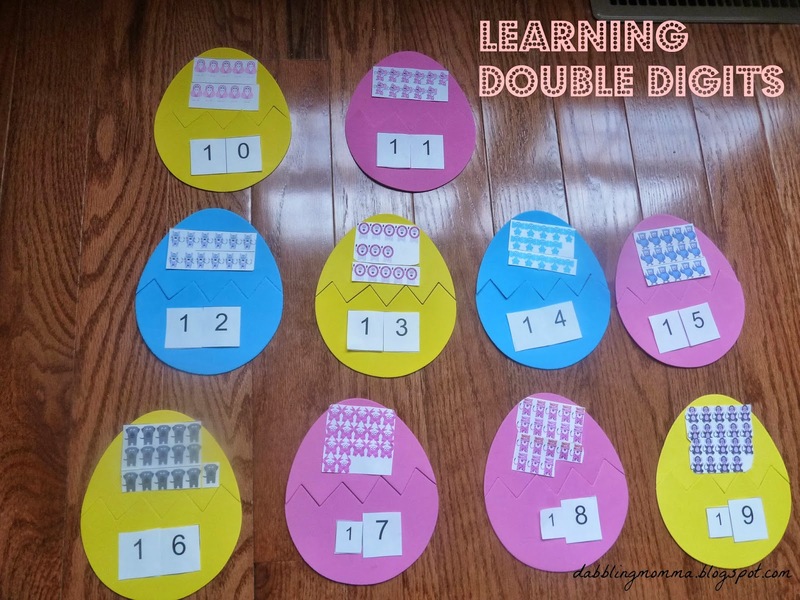 So, we have been finding fun ways to learn our double digits. I found these eggs at Target in the dollar section and knew I could use them for something. 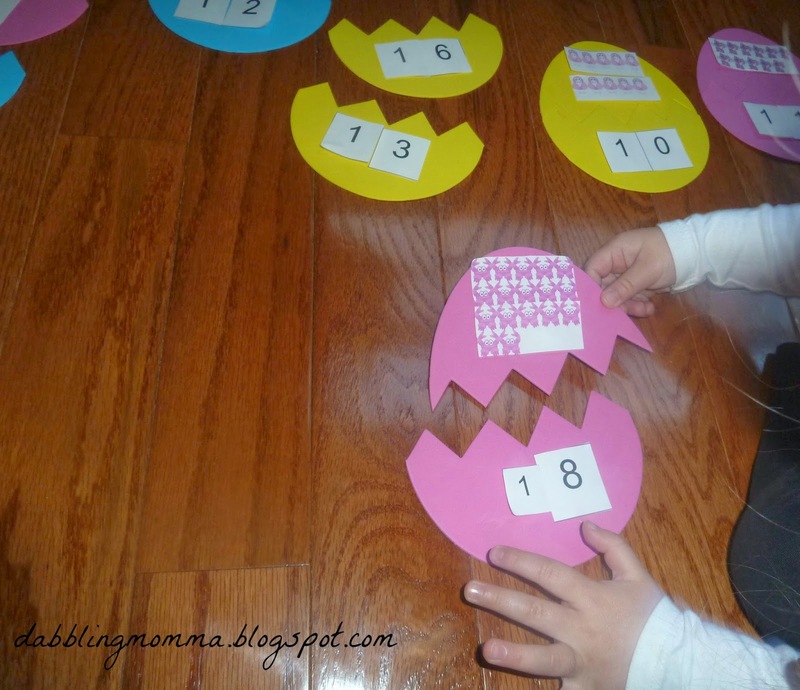 Then, I came across some free printables from the homeschool den and knew what I would use our eggs for, a number matching game! 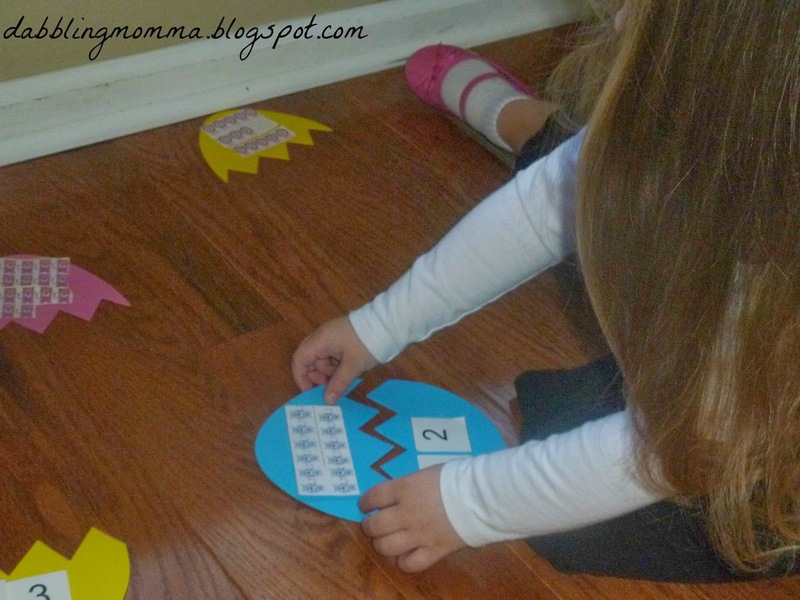 I cut out the animal pictures and the numbers and used tape to attach the pictures to one half of the egg and the numbers to the other half of the eggs. 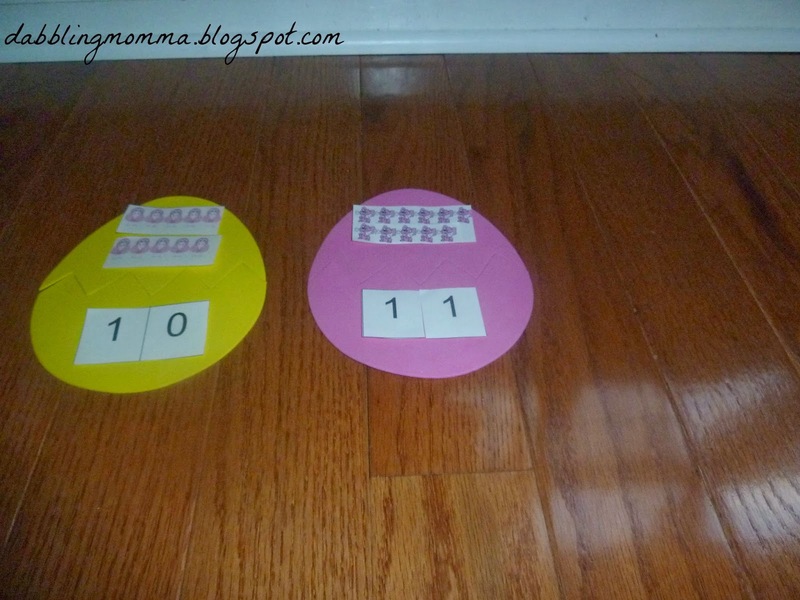 I like this activity because first, it helps Tiffany count higher than 10 which she has some trouble with. Next, it offers one to one correspondence and it makes Tiffany have to identify which number matches the number of animals she counted. 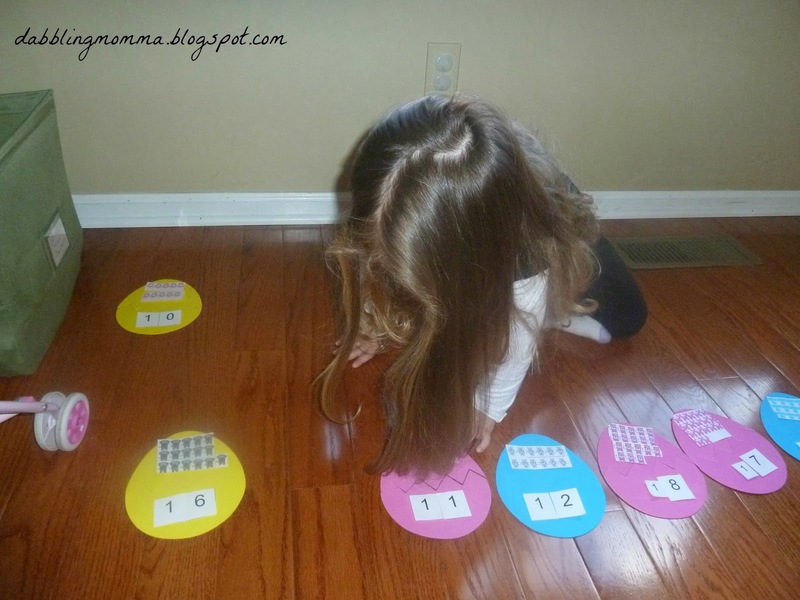 Lastly, it helped with sequencing as once the numbers were matched she had to put the numbers in order from 10-19. 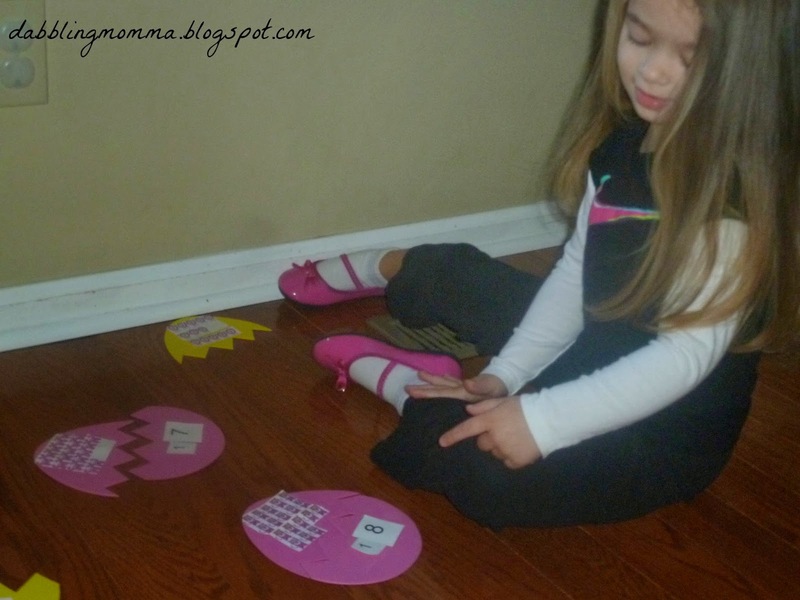 Alot of times Tiffany will get ahead of herself with counting and rush the numbers especially with double digits. When I saw her rushing the counting during this game I just helped point to the numbers with her. Once the pictures were matched to the correct number we began putting the numbers in order from 10-19. We didn't start on 20...yet! To be honest at first Tiffany was not really interested in playing. I left this game out for 3 days before she finally wanted and asked to play what she called, the egg game. Once she had the interest in playing she was off and running. Overall, Tiffany liked our match game and it's something I can easily leave out to play with again and again. Tiffany also liked putting the eggs back together again too! I'm glad I have some extra eggs since I have come up with some other fun ideas to use them for! Stay tuned.....! I hope it works for your son! My daughter will be 4 also in a few months!! 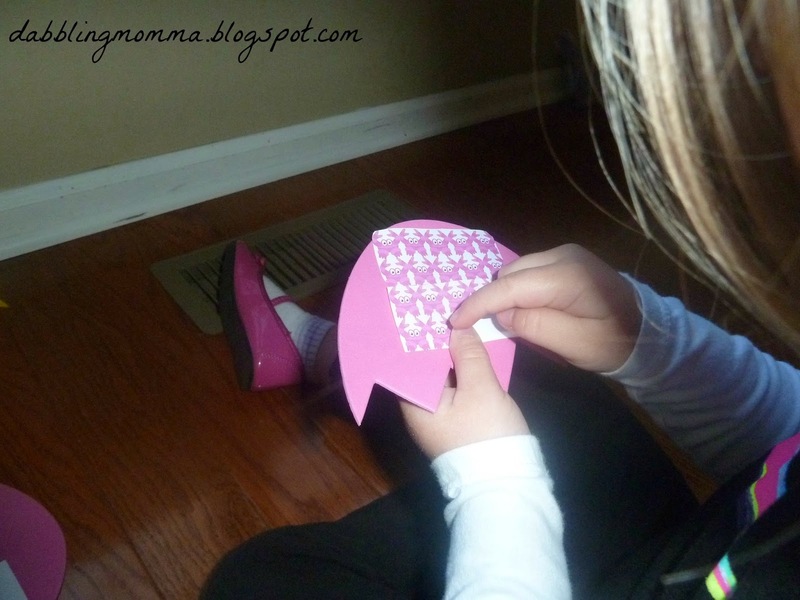 I think this is a great idea, and my 4 year old is such a visual learner. Thanks and I hope it helps your son!! oops, sorry about my reply. I was replying to your comment and someone else's and the other person wrote that they had a son and I put in my comment to you that I hope this activity helps your 'son.' Sorry, about that! What I meant to say is I hope this activity works for your child!! Pinning this one to my math fun board! Thanks, One Mommy!! I really enjoy your blog too! Such a great idea, and it could be used for so many things!